All sessions include full resolution digital images with a print release. Danielle provides a variety of props and outfits for all newborn sessions. Your session will include a variation of bean bag poses, prop poses, detail shots and family/sibling posing. Sessions take place 7 days a week and most newborn sessions are scheduled mid-morning. The booking process: When you are pregnant, contact me to get your session penciled in. Once baby is here, we will schedule your session within the first 14 days (Ideally 7-10). 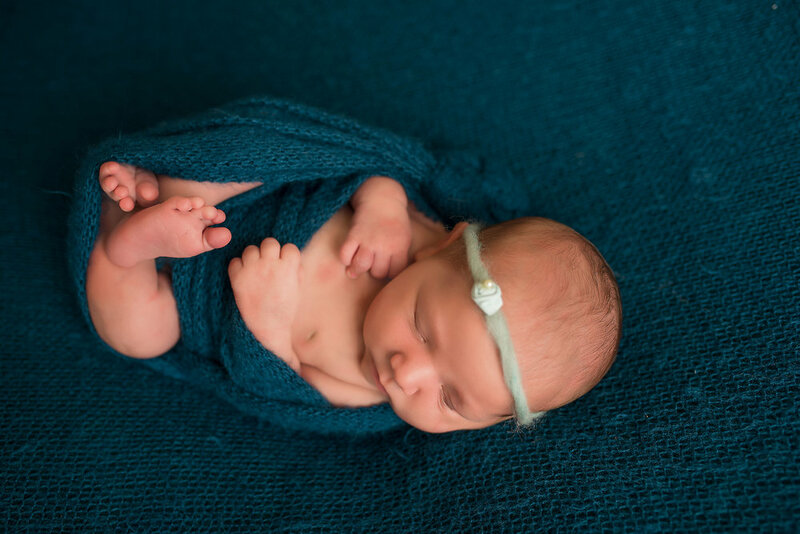 After 14 days, typical newborn posing may not be possible. You will receive your digital images via online download within 10 days of your session. There will be a sneak peek posted to Facebook within 3 days of your session. The online gallery will be available for 30 days. Once the 30-day period is up, the gallery will be removed and an archival fee of $20 is required to re upload the images to a new gallery. All sessions are subject to 9.5% local and state sales tax. A $100 nonrefundable retainer is due at the time of booking. The remaining balance is due 24 hours prior to your session.